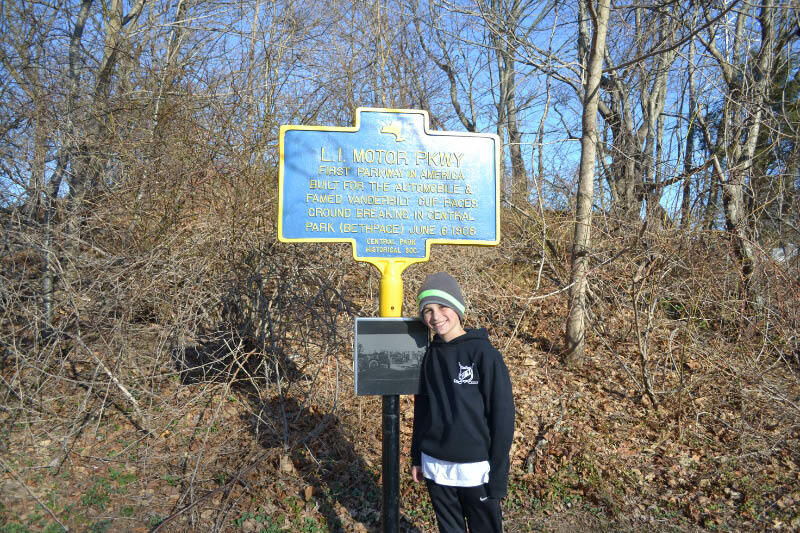 On April 4, 2015, Dave Russo and his 10-year old son Sam experienced a one-day 38-mile bike tour on the Long Island Motor Parkway. 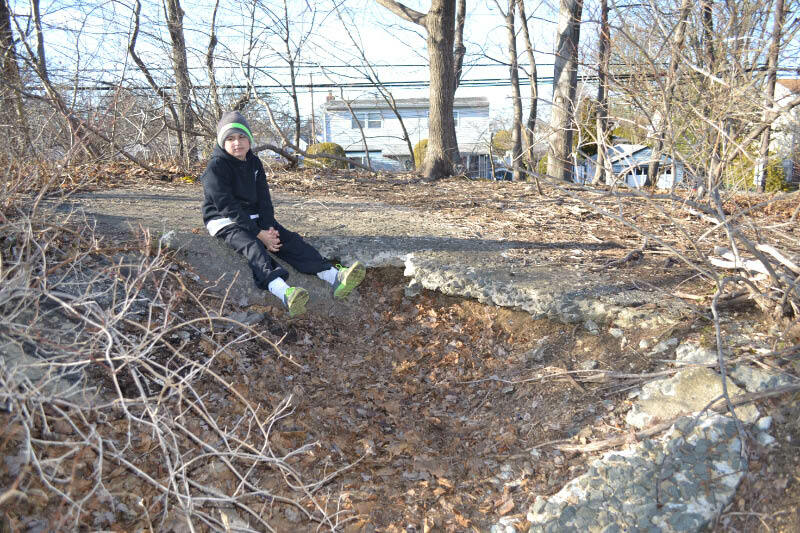 In the eighth post of this series, Sammy and Dave continued their exploration from Levittown to Deadman's Curve in Bethpage. 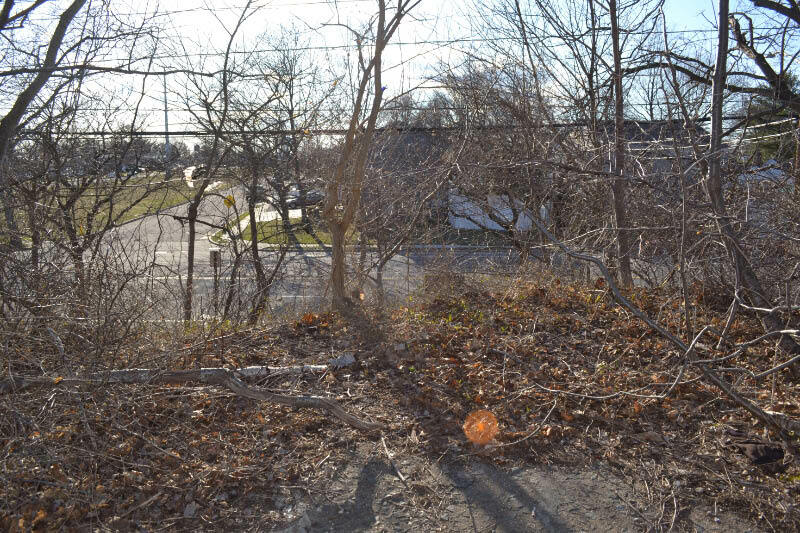 Big void again, cross Jerusalem Ave through some ball fields, through a bunch of back yards again, cross Wantagh Ave, through a parking lot, across Hicksville Road, then the right-of-way for the Central branch of the Long Island Rail Road. 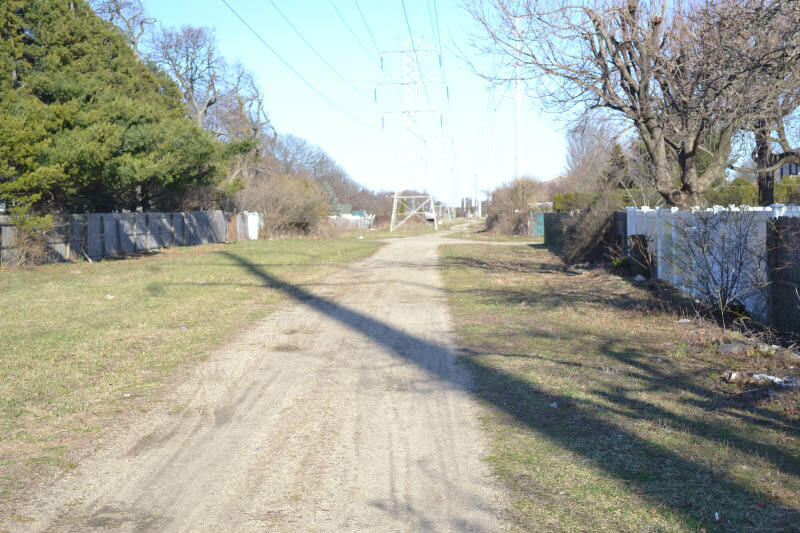 The Motor Parkway ran parallel to LIRR in this section on the left, approximately to the left of the fence line. Historical marker of location of ground breaking for the Parkway. A good spot. View from on top of the embankment from the forner Jerusalem Road Bridge looking west. 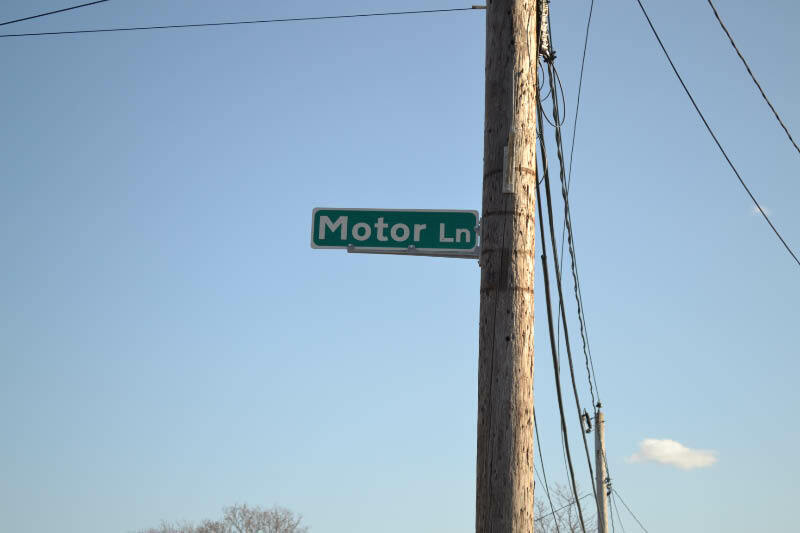 The ground-breaking ceremony for the Motor Parkway took place directly across the street. 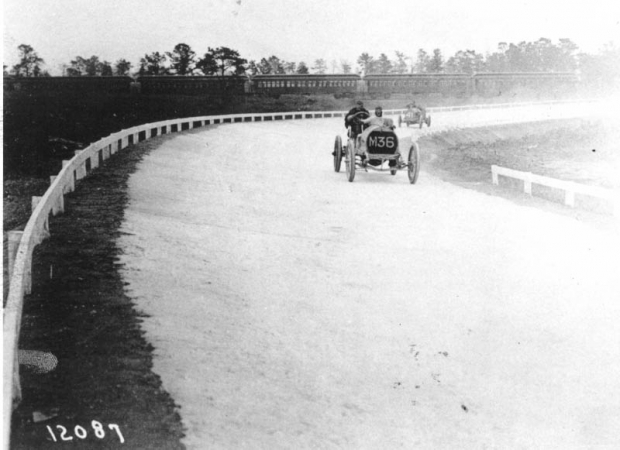 Love seeing the old pics of this place during the 1908 races and then to stand there and imagine what it was like. Awesome that it's still there. Great photos and video. Thanks for sharing!!! I thought I was the only one checking out these spots. Lol. As Howard can attest, my son Gram and I made an ongoing journey much like this some years ago…and Gram, 9 or 10 at the time, concurred that Deadman’s Curve was his favorite part of the Vanderbilt as well. My grandfather worked on the road at that spot and, in fact, bought land just to the left of where you are and built a wonderful brick house just a block or so away. 20+ years ago I visited the Garden City Chamber of Commerce on 7th St (original toll structure). After leaving a donation of course, I explored the museum. There was another visitor who thought “I was too young to be interested in this stuff”. He could see I was genuinely interested. And then he said “You have been bitten by the motor pkwy bug”. And yes I am. So Dave, I say too you; “You have been bitten by the LIMP bug”. Your video is a nice touch. Once again I sincerely think it’s amazing that after 107 years this road remains in tact like this. I know it’s crazy but I greatly prefer these Nassau County parkway remnant locations over the Queens maintained portions. I definitely think the county needs to preserve this road, but not mess with it. 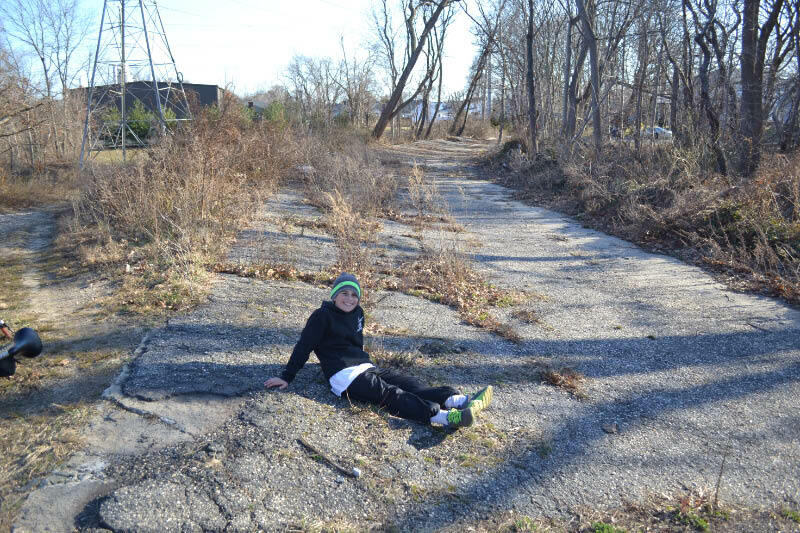 The Bethpage section starting at the Stewart Ave abutment (where it all began) and going all the way through the Bethpage Restoration to the bridge is just a wonderful stretch. I highly recommend it. 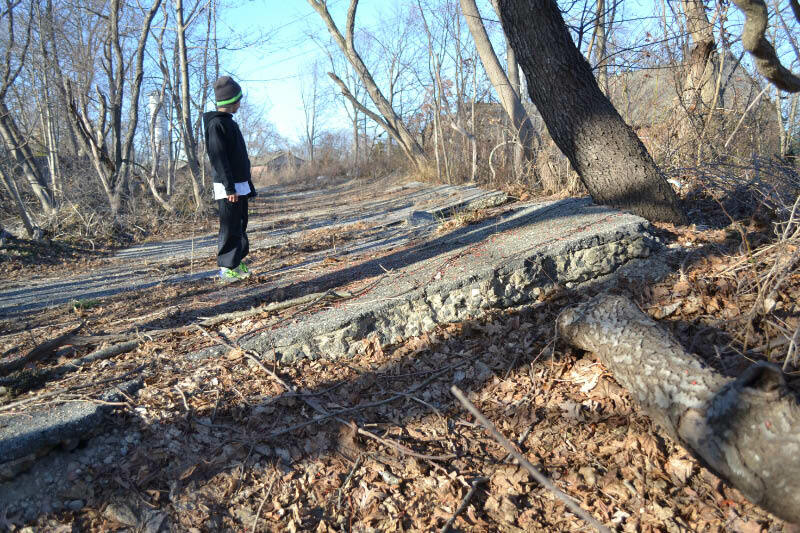 Bring your kids out and start exploring! Brian you are completely correct. 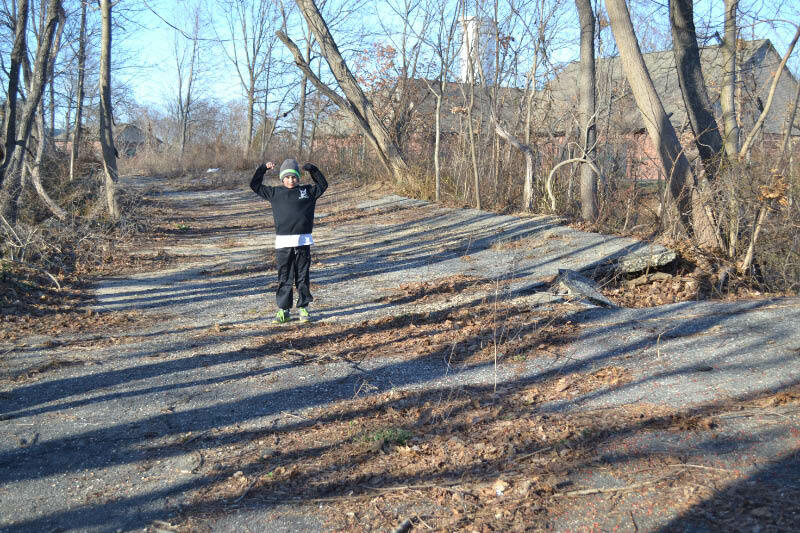 Every time Sammy and I drive past a Motor Parkway location we both give it a salute. It’s a special thing for us. I have never been inside the GC Toll lodge. It’s been closed every time I’ve been there. Anything good to see in there? I have met some people who grew up in GC and claim that the lodge, before it was moved, was a fantastic meeting location / drinking spot.